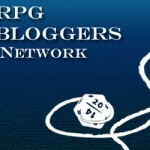 Posted on August 9, 2013, in Convention Gaming, RetCon, RPG, Savage Worlds and tagged RetCon, Role Playing Game, Roleplaying Games, Savage Worlds, tabletop RPG. Bookmark the permalink. Leave a comment.